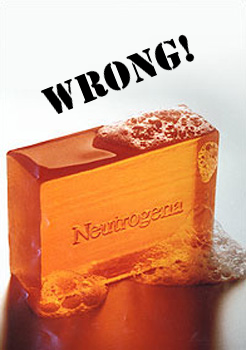 Neutrogena [noun]: A brand of glycerin rich soap. My blood counts still continue to improve each week under treatment with ipi-145 – with the frequent exception of my neutrophils. They came in on my CBC today at a really unimpressive 1.9% (37% – 80% is considered normal) and a count of 490 per microliter (2000 – 7800 is normal). This means I’m neutropenic again. 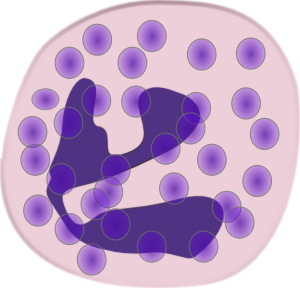 Neutropenia is an abnormally low level of neutrophils, a type of white blood cell. All white blood cells help the body fight infection. Neutrophils fight infection by destroying harmful bacteria and fungi (such as yeast) that invade the body. People who have neutropenia are at increased risk for developing serious infections because they do not have enough neutrophils to destroy harmful microorganisms that cause disease. Some degree of neutropenia occurs in about half of people with cancer who are receiving chemotherapy, and it is a common side effect in people with leukemia. People with neutropenia may lower the likelihood of developing an infection by paying close attention to personal hygiene, such as washing their hands. I’ve never been big on using hand sanitizer but that has to change for now. If you see me wearing a mask, please don’t ask me if I’m robbing a bank.